The Collector wants Howard for his collection of rare creatures. That hasn't changed. What The Collector doesn't know is that Howard, in addition to now being a living link to the Nexus Of All Realities, has also temporarily been granted The Power Cosmic! 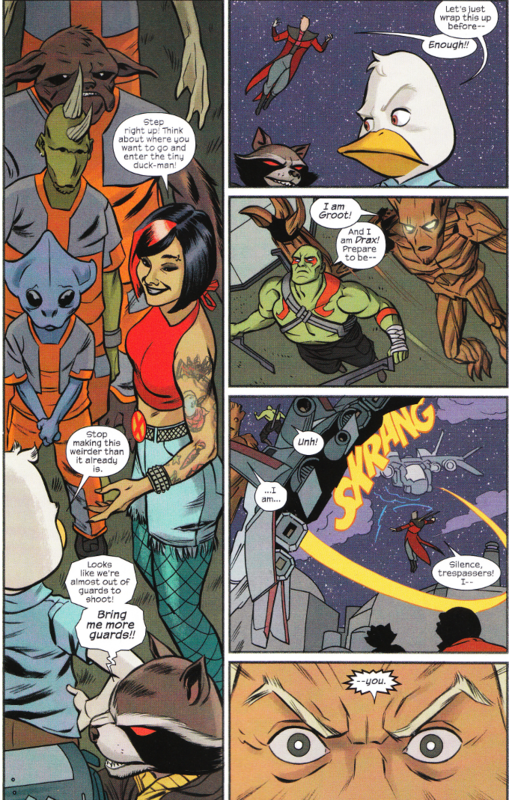 And The Guardians of the Galaxy, Howard's time-displaced female clone, a female clone of Rocket Raccoon, The Silver Surfer, a Galactus groupie known as Scout and Howard's sidekick Linda the shape-shifter are coming to save him and free every other being held captive by The Collector! Seriously, though - how could he have seen that coming?! The action of this issue is a glorious train-wreck. That being said, it is an amusing train-wreck. 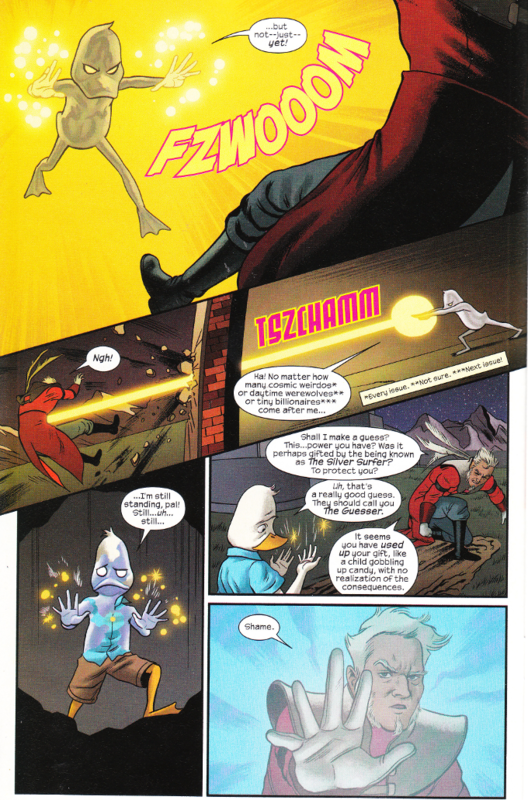 Chip Zdarsky revels in the sheer insanity of The Marvel Universe at large like no one else and turns Howard into the only sane man-er duck capable of telling it like it is. It is to the credit of the art team that you'd never know there was such a large art team working on this book. Frequently there are obvious differences in style when two inkers or two colorists are at work on a single comic. This issue has no such problems and the whole thing looks wonderful.